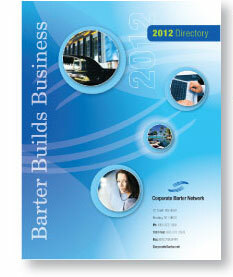 How does Corporate Barter Network market your business? Trade Brokers: Our trade brokers phone member businesses that regularly purchase your products or services and facilitate an introduction. 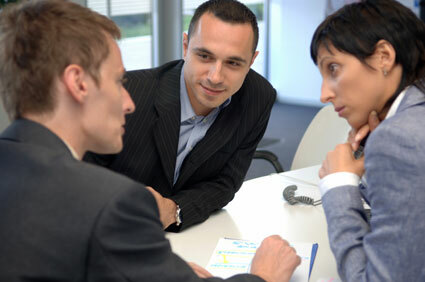 Our brokers become part of your sales force. Monthly Newsletters: We place your ads in our monthly newsletters - free of charge. 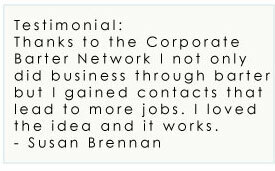 Newsletters are direct mailed to thousands of businesses. Daily Emails: We send daily emails where we sell your products and promote your services. Free Listing: We provide a free listing in our membership directory. Trade Shows: We produce trade shows for member businesses where they can display what their company has to offer. Informal Meetups: We host informal gatherings where members can Network. Exposure: We provide regional and national exposure to businesses looking to expand their horizons. We do this through "Do Barter" and "Universal Currency" which is nationwide. Read More...Why should you join?